For this guy, who is an assistant decorator once a year, at Christmas, that’s hard to imagine. But then I met with the decorators, experienced the humor and energy they bring to their work, and it started to make sense. When asked about her role as the group’s leader, Yvonne gave a little shake of her head and said, “Lou Pickard is Silveridge decorating, not me.” And then she smiled as she recalled stories of the woman who founded the decorating team, how Lou not only took joy in her decorating the ballroom and other facilities, but how she loved to dress for the events. For those of you who weren’t around, let me pass along the heartwarming story of the tribute to Lou when she passed away last year. Her children wanted to leave something for the folks at Silveridge who knew and loved Lou, and they offered four boxes of her jewelry. 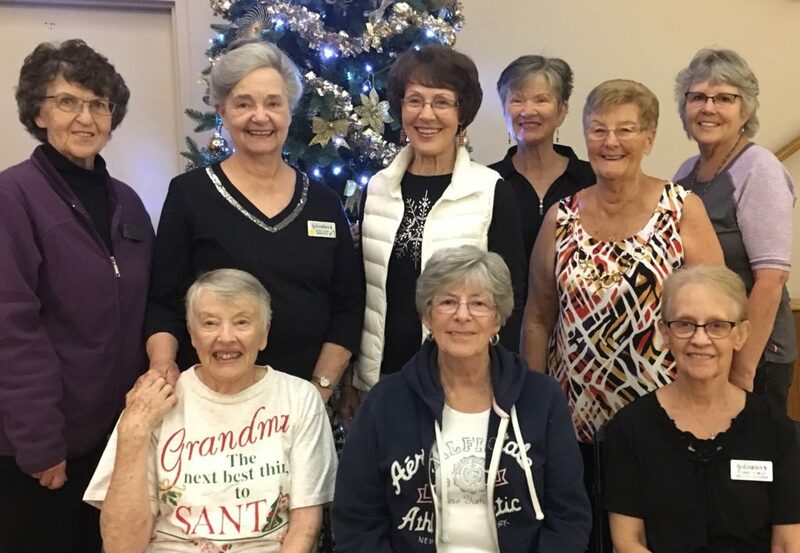 It’s fitting that the decorators turned that jewelry into decorations – they outfitted a special white tree with her jewelry and invited the ladies of Silveridge to take a piece as a memento. So the decorating team merrily carries on the work started by Lou, and thanks to donations in her memory, is acquiring new, large decorations. Look for them at upcoming events.